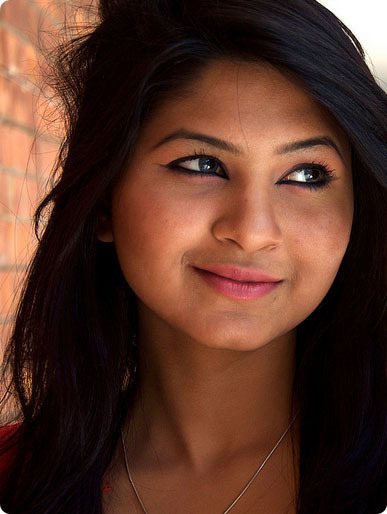 Bangladeshi actress Sporshia has performed six Airtel advertisements. These advertisements are Dolbol, Supnopori, One second puls, No hidden cost, Instance cash back and My Airtel, My offer etc. First five advertisements have already telecast various TV channel. Opposite of the advertisement is being Asif, Rajib and Conal. Most of the advertisements are made by Piplur Khan. Bd actress Sporshia says my model career start becomes Airtel cell company advertisement. I am lucky; this is because Airtel is a big multinational company and every person known this company. However, I get two new advertisements. Now she is busy for her new drama Pathchaya. Bangladeshi model Sporshia says acting is pleasure and knows something. Some onlooker called me Airtel girl. Sporshia loves media very much. I hope I get a chance to do something for this reason I worked hard and try my best. Some days ago I had perform a drama. That drama my role was a non speaker Bangladeshi girl, that drama I can not tell fluently Bangla language but I love Bangla language. Bd model Sporshia has performed many television dramas such as Apon, Apon apon Khala, Road, Sode Effect etc. Airtel Sporshia also says I am interesting cinema but if it will be related real life film and Spectator will be enjoy this film I like it. Always time, I want to perform good character because good characters remember many days on looker heart.